Urine evaluation is a noninvasive, inexpensive, easy collection test. The veterinarians at the Ridgewood Veterinary Hospital recommend submitting a urine sample for laboratory analysis for all dogs and cats every year. Urine gives us a window into the kidney function, sugar regulation (diabetes), developing bladder crystals and stones, urinary tract infection, bladder tumors, metabolic/hormonal diseases (thyroid/adrenal), and protein losing diseases such as Lyme Disease and hypertension, which may not be apparent in the early stages when doctors can help the most. Wellness is aimed at prevention of disease and early detection. If you have never collected a urine sample, or are having difficulty, we have some alternative suggestions. For your convenience we have pre-paid urinalysis kits available for $49.49, which includes the laboratory fee and provides a container for your pet’s sample. If you can’t get the sample easily into the container, try putting a tin foil pie plate under your dog to catch the urine, then pour the urine into the container. For cats, we have No-Sorb, tiny plastic non-absorbent pellets that you can use instead of litter. Your cat uses the litter pan normally, and then you can pour the urine out into a container since the pellets don’t absorb the urine. 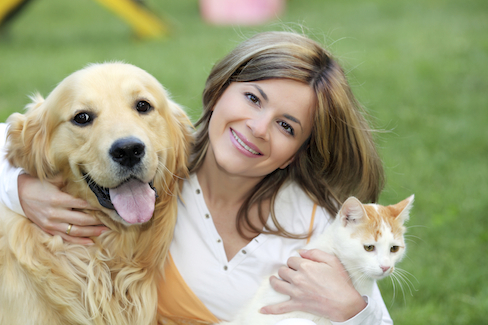 For those who are pressed for time, you can always leave your dog or cat at the Ridgewood Veterinary Hospital, and we can get a sample for you. You can drop a urine sample off at any time during our normal hours; there is no appointment necessary.